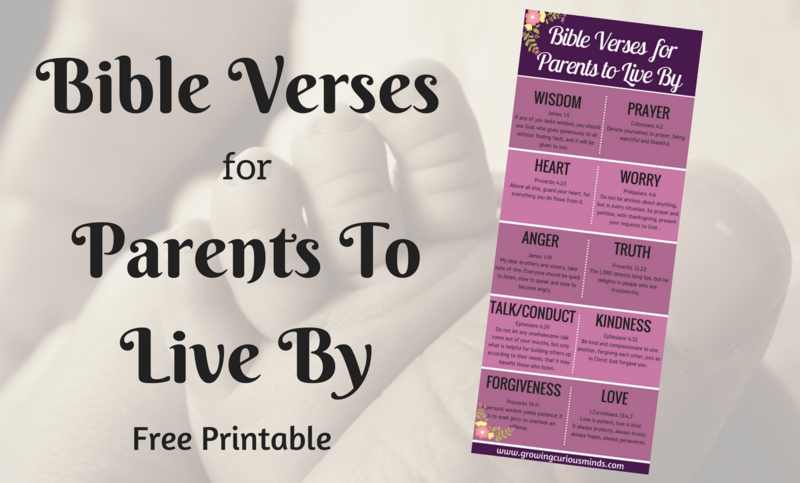 If you’ve ever been looking for a verse or a helpful place to start when dealing with behavioral issues with your kids, this article will be a great place to start! The blog Growing Curious Minds put together a list of different verses well suited for addressing different tensions. The list is ideal for parents with preschool or elementary-aged kids. Many of the issues on the list will present themselves early, and should be addressed immediately. Reminding your kids that Scripture has a lot to say about what they’re struggling with, and then pointing them to God’s Word in your gentle correction will continue to show them the value of Scripture in everyday life. Plus, the fact that all of theses great verses are collected on a handy, printable bookmark is a huge bonus! Nice work, Growing Curious Minds! Parents looking for scriptural help for behavioral issues among their younger kids.